BSN Endorush Review - A Potent Energy Drink! Endorush is One Energy Drink That Will Knock Your Socks Off! Did that last sentence there just sound like a cheap marketing slur to you? Sure did to me! =) Maybe because I got a little too excited about this product. 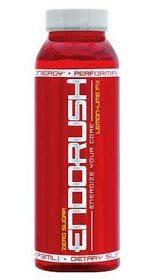 Of the various energy drinks I've tried, BSN Endorush is one of the better ones, if not THE best. In this review of Endorush, we're going to first take a close look at some of the active ingredients in Endorush to get a better understanding how it all works, and then share with you in some detail my personal experiences using Endo Rush. I'd like to point out that each bottle of Endorush contains 4, yes, FOUR, servings! So a case of 12 will serve up 48 servings! The above is a list of the active ingredients in Endorush. What we're interested in is the "EndoRush Proprietary Matrix NoX Fursion" and "Ener-Tropic Rush" blends. No question, citrulline malate is an exceptional ingredient. If you compare the above to the ingredient list of NO-Xplode, you'll notice many similarities. For whatever reasons, my body doesn't seem to respond to NO supplements, so I was not surprised that I did not notice much of a pump - I should probably re-phrase that to say "I didn't experience as much of a pump as I had hoped." Many other users have reported pumps from using Endorush. The Ener-Tropic Rush component provides more focus, intensity, and energy for workouts. L-Tyrosine - is a non-essential amino acid that is a precursor to dopamine and norepinephrine. 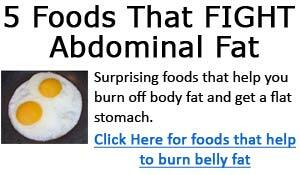 It is also involved in protein synthesis. Tyrosine helps the brain maintain focus and stay alert. L-Taurine - Taurine is a conditionally essential amino acid. Taurine plays an important role and is found in the heart muscle, white blood cells, central nervous system, and skeletal muscle. Taurine plays an important role in nitric oxide production, where lowered taurine levels leads to the reduction of nitric oxide production. Nitric oxide is a gas that's present for a instant each time a muscle contracts and blood vessel dilates. This is important in that this widens the blood channels leading to greater blood flow, which results in greater oxygen and nutrient delivery. Read about Taurine in detail here. Glucuronolactone - helps improve memory retention, mental concentration, and also acts as an antidepressant. It's added in many sports energy drinks (like Endorush), because it's claimed to help fight fatigue and promote a feeling of well-being. Caffeine - we all know what caffeine does, so no need to explain it here. Vincamine - according to wikipedia, "Vincamine is a peripheral vasodilator that increases blood flow to the brain"